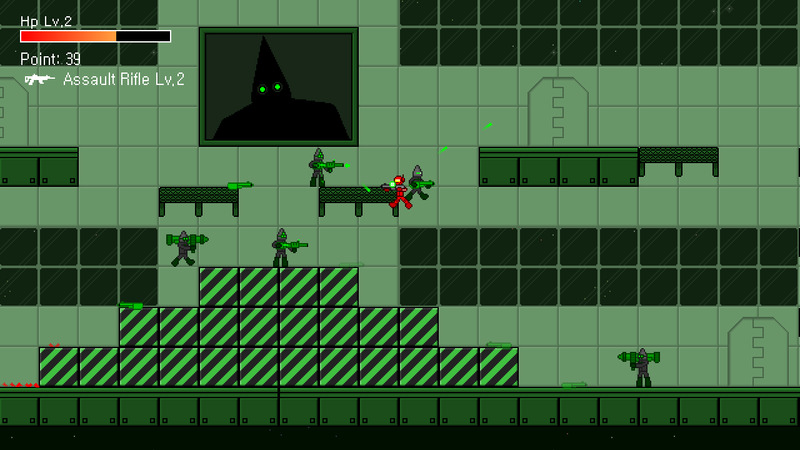 "Prison of the Green Eye" is a platformer shooting game. It was developed using Gamemaker: Studio 2. It has a total of five stages and has to fight numerous enemies patrolling the map. The game is about the main character in the prison of "Green Eye", a huge religious force, whose goal is to get out of the way by removing his enemys. Green Eye people believe in their churches and the power of toxic crystal called "Dytophate". They are willing to conduct human experiments for their ambitions! Don't expect any humanity from them. Kill the fanatics for yourself and for your country. Korean and English versions available.